The March issue of Canadian Healthcare Technology contains an article about the work myself, and Quantum Capture, did with two doctors at Toronto’s Sunnybrook and SickKids hospitals. 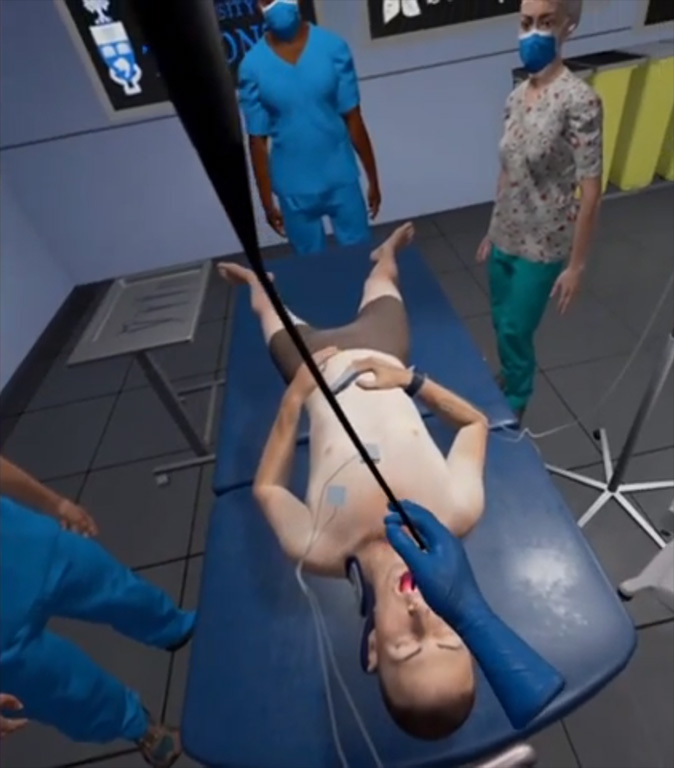 The project was a VR experience to help test and train doctors on performing a fibreoptic bronchoscope intubation on a patient in the trauma centre. 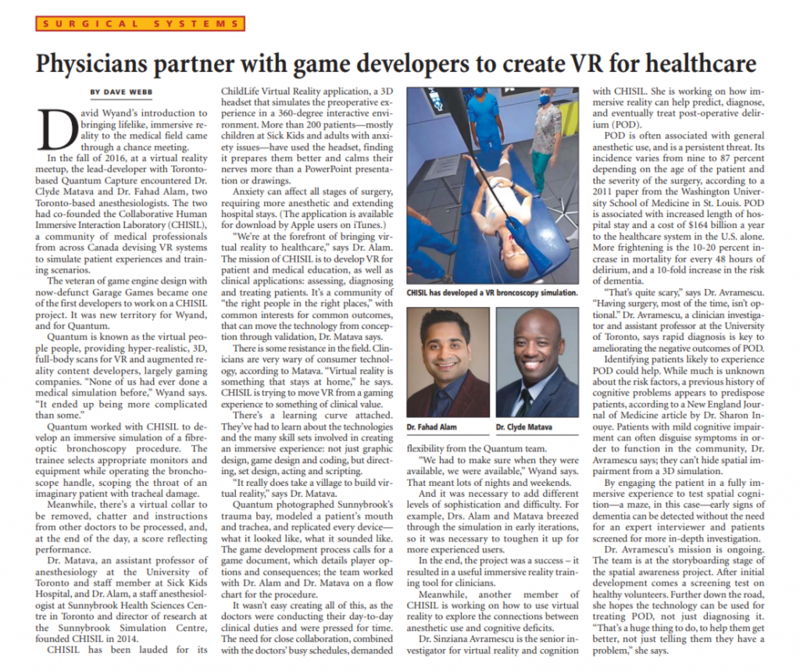 You can read this article as a blog post on the Canadian Healthcare Technology site, or go to page 20 of the digital version of the magazine here. For more info, I wrote a short article about this work back in December 2016, when Bloomburg TV Canada filmed a segment at the Quantum Capture offices. Go to this article here. Over the last couple of months I’ve been working with Quantum Capture on a virtual reality training application for trauma center doctors at Sunnybrook and SickKids here in Toronto. This proof-of-concept simulation has you go through a fibreoptic intubation on a patient using your hands to feed the scope down the patient’s throat, while you look on a monitor to see what the scope sees. A game prototype I’ve been working on with Quantum Capture will be on display at tonight’s Wearables 2016 AR/VR mega-event. In Vega you are a convict doing time on a space elevator, ensuring that the cargo containers destined for the mothership are safe. 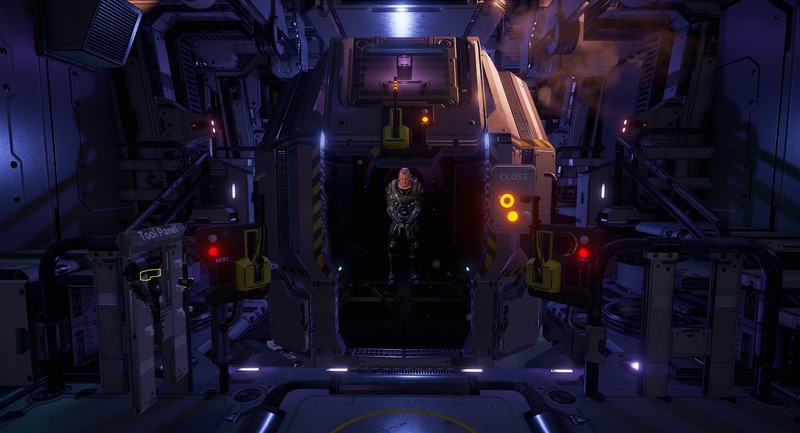 Made with Unreal Engine 4, and played on the HTC Vive. 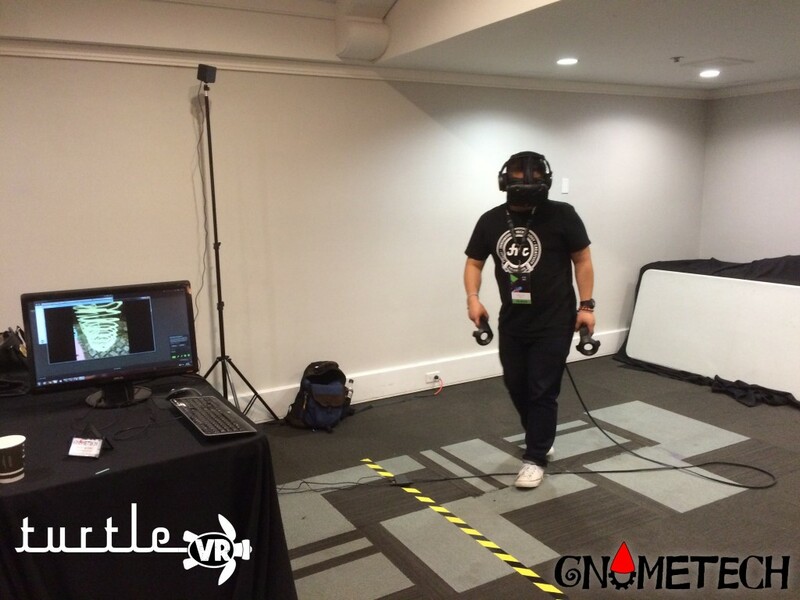 At Wearables 2016 you’ll be able to play through the 10 minute experience, leading up to its dramatic ending. Escaporia is a new project from Gnometech that will be released on all desktop VR platforms. Relax, listen, and let your mind wander. 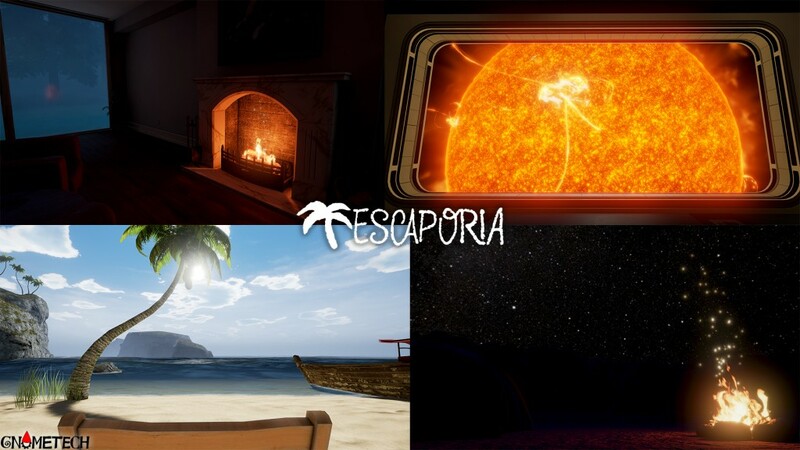 Created with Unreal Engine 4, Escaporia supports streaming music and YouTube videos. Coming soon. 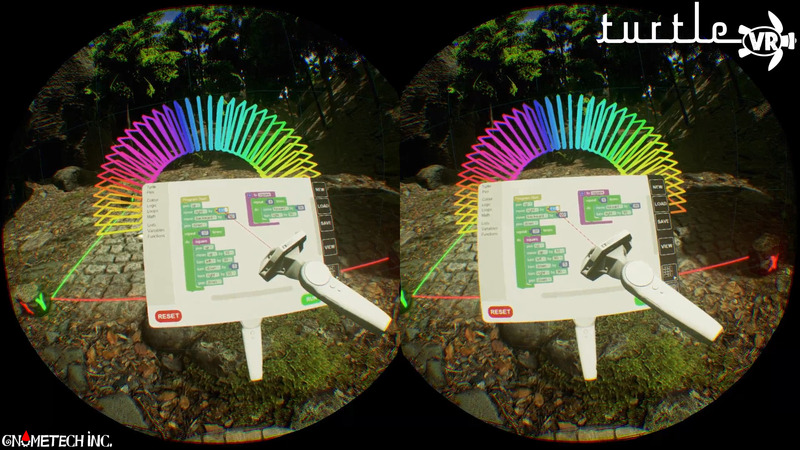 As part of the TorontoVR community group, David Wyand presented Turtle VR to attendees on April 18 at FITC2016. For the entire afternoon, a constant stream of people enjoyed trying the HTC Vive while creating art within Turtle VR. Turtle VR will be available for the HTC Vive on Steam in the Summer of 2016. 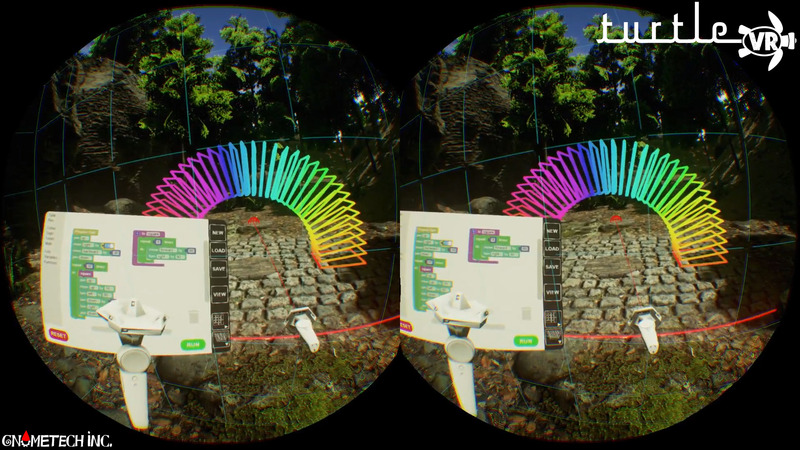 Turtle VR is coming to the HTC Vive and Steam VR. In fact, it will be expanded beyond what is available for the Oculus DK2 and Razer Hydra, including new environments, new command blocks, and more examples. Below you may see Turtle VR running on the Vive with an updated Grove level, optimized for the higher resolution and 90fps required. A HTC Vive just arrived at the Gnometech office. Time to get Turtle VR running on it!